My business cards. 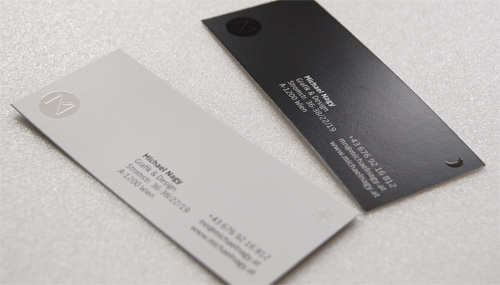 the concept was to create day/night businesscards just like my website which automatically changes skin depening on the daytime. Realised with UV Spot colour.